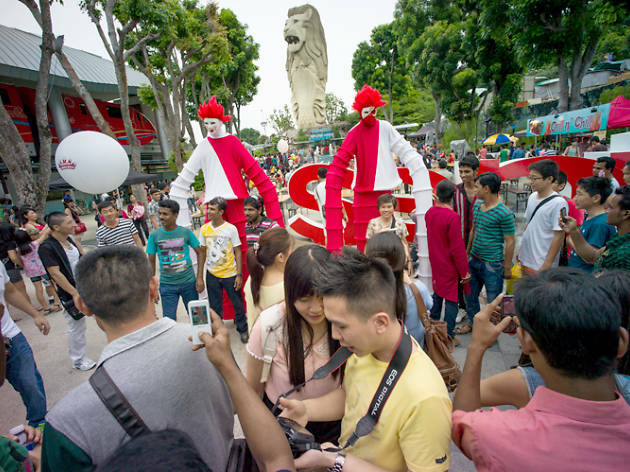 Get intimate with everything Singaporean at Sentosa's So Singapore, where a slew of family friendly activities wait for you. Go back in time at the Heritage Carnival (Aug 4 to 13) and mingle with roving characters from the pre-war days or munch on local treats such as chendol, and Peranakan kueh. Come on Saturdays and you'll be treated to a performance arts like a wushu performance, Peranakan folk songs, and bian lian, a form of traditional Chinese opera. 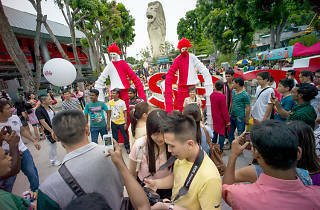 As night falls, get ready to whip your phones out – the Sentosa's Merlion lights up with an array of colours and visual effects, accompanied by music.